You Need Money to Run Your Business. As your Business Advisors we would prefer the money that runs your business come from cash flow. But that’s not always possible. When you need business financing do you know which type would best position you to succeed? Do you qualify for a loan? What do you do if you are deemed non bankable? How much do you need? Do banks prefer certain business types? Should you consider crowdfunding or social lending? There are many financing methods available to fund your business. The key is to find the right fit for your business type, stage and need. 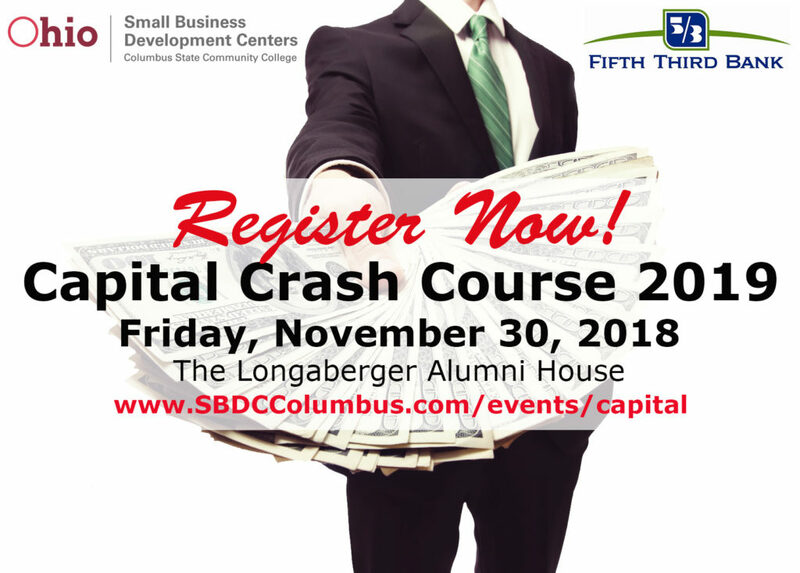 Attend the 15th Annual Ohio SBDC Capital Crash Course and learn about the various types of small business financing available. Hear directly from our local bankers and funding partners on how best to determine the amount of money you need, the type of financing best fit for you and what you need to bring to the table for the vault to open! This event only happens once a year. Don’t miss it! Admission is FREE! Refreshments and Lunch Provided! Click Here to Grab Your Seat at this Year’s Capital Crash Course 2019! !